Hollywood cools, and when it cools you have to go to where the work is. 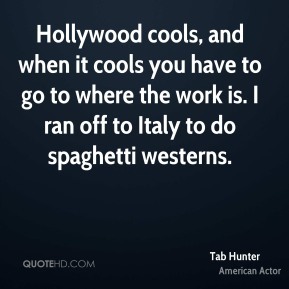 I ran off to Italy to do spaghetti westerns. 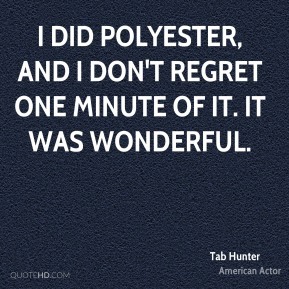 I did Polyester, and I don't regret one minute of it. It was wonderful. I knew Jimmy Dean. He tested for 'Battle Cry'. 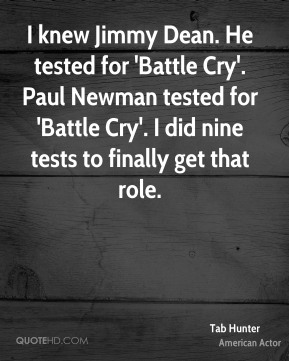 Paul Newman tested for 'Battle Cry'. 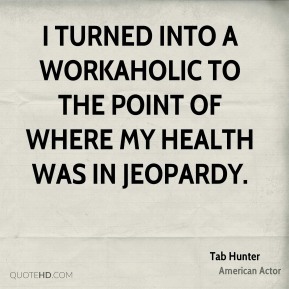 I did nine tests to finally get that role. 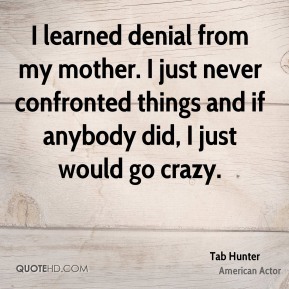 I learned denial from my mother. I just never confronted things and if anybody did, I just would go crazy. I lived a very don't-ask, don't-tell life. I said, God, the press and people, they just really hate me and I'm really trying. 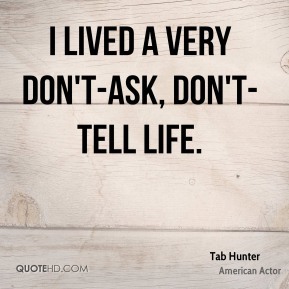 Geraldine Page said, Listen to this, Tab. 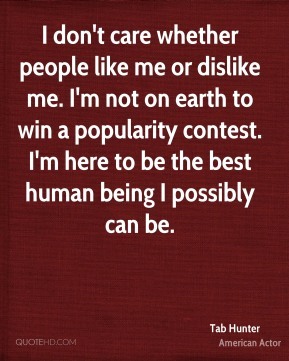 If people don't like you, that's their bad taste. 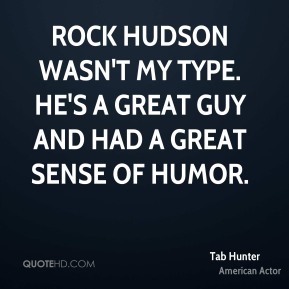 I wasn't an actor. They they take the externals. 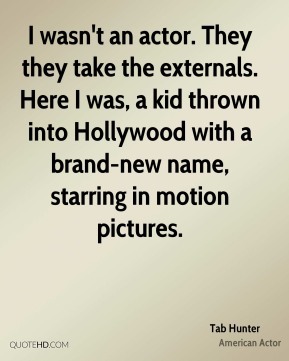 Here I was, a kid thrown into Hollywood with a brand-new name, starring in motion pictures. John Wayne treated me fine, but that macho stuff turns me off. It's not real. 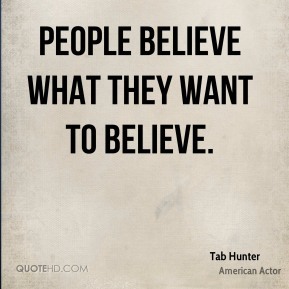 People believe what they want to believe. 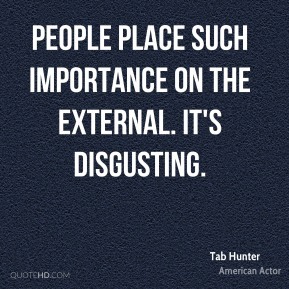 People place such importance on the external. It's disgusting. 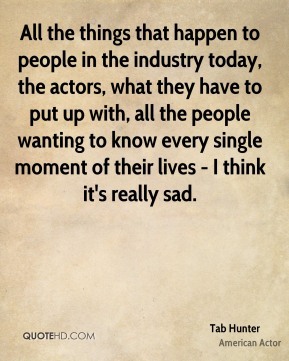 All the things that happen to people in the industry today, the actors, what they have to put up with, all the people wanting to know every single moment of their lives - I think it's really sad.